via On the internet, you can be anyone you want! However, don’t be TitsMcGee4782. This Twitter account collects hilarious signs and advertising over the web. If you want some movements of pure entertainment check it out! 50% of computer programming is trial and error, the other 50% is copy and paste. 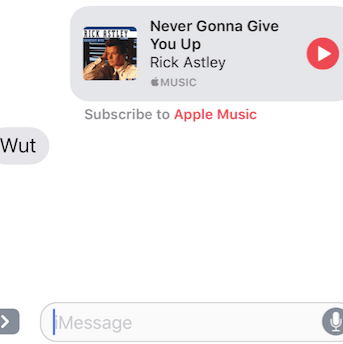 Step 2: Send the song to all your friends via Apple Music in iTunes. Step 3: Repeat until you have absolutely no friends left who will respond to your text messages.